If you love playing Holi, you know how important food is as a part of the revelries. 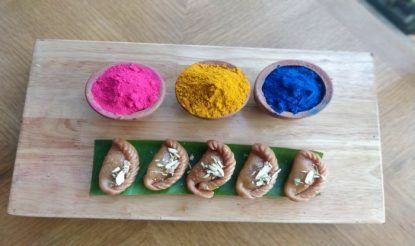 Gujias, or sweet, deep-fried dumplings with traditional fillings like khoya and dry fruits feature at the top of the Holi special delicacies along with others like puranpolis. 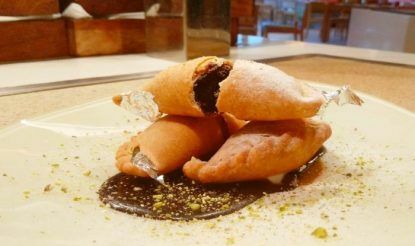 Now, if you are a diabetic or are watching your weight, you may be wondering if you can eat gujias. Celebrity nutritionist Rujuta Diwekar, in one of her social media posts on nutrition, writes about how homemade deep-fried food, in moderation, is always a healthy choice. When you buy gujias from outside, you aren’t sure of the quality of the products used. Also, there is a tendency to reuse and reheat cooking oils that produce harmful compounds that are bad for your heart. 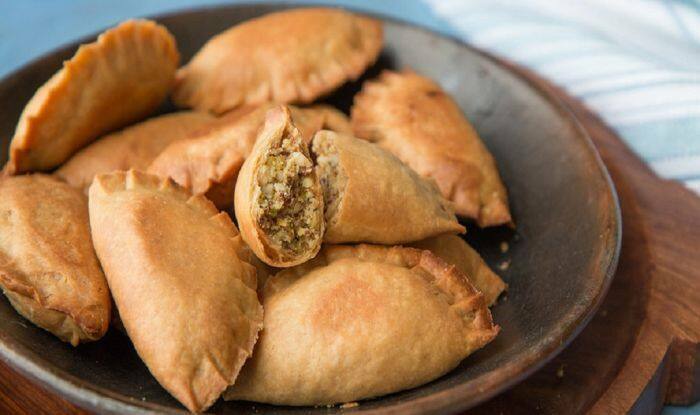 This Holi, try making these healthy and delish gujias at home. Knead the dough with flour, ghee, cooking soda and water and allow it to rest for 20 minutes. Make a stuffing with khova, chopped cashew nut and cardamom powder. Stuff the gujia with the fillings and fold it on the sides. Make the syrup and allow it to cool down. Fry the gujia in oil and soak it in sugar syrup. Garnish the gujia with silver leaves and chopped pistachio. Take a bowl and mix together all the dough ingredients except water. Slowly mix to give it breadcrumb-like texture. Then add water as required to make hard dough. Keep it aside to rest in an air-tight container. For the filling, crush walnuts and mix together the rest of the ingredients in a bowl to make a filling. Divide the dough into 25gm balls, flatten the ball into a small circle. Take a gujia mould; place the dough sheet first then place a spoonful of filling to make a crescent shape gujia. Deep fry the crescent in oil till you get a golden colour. Place it on a kitchen paper. For plating, sprinkle the gujias with icing sugar, some silver leaf and pistachio powder. Mix melted ghee with atta and knead with your palms using water. Mix all the ingredients. Shape the dough into crescent shapes and put in the filling. Keep them in the fridge till they get firm. Deep fry in ghee slowly till you get a golden brown colour. Make a thick jaggery syrup by cooking water and jaggery together. Soak the gujias for some time in the syrup and strain. Sprinkle roasted sesame seeds and nut flakes.